Launched in 1996 and first showcased at Beijing Fashion Week in 2002, Shenzhen-based, publicly-traded women’s apparel company OmniaLuo has enjoyed enormous popularity in China, where the brand targets “urban affluent female professionals” through its more than 200 retail boutiques. Zheng Luo, OmniaLuo’s founder and chief designer, celebrated the brand’s U.S. debut at New York Fashion Week. 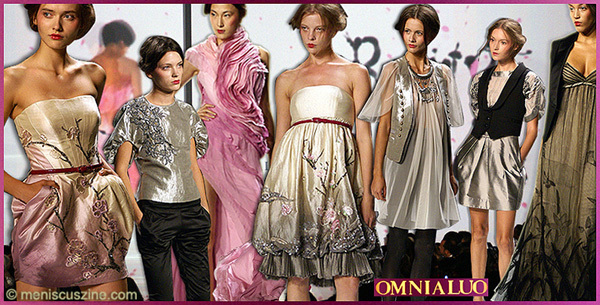 Starting off with a beautiful animated introduction, OmniaLuo’s Spring 2009 show was infused with a romantic “Beauty Blossoms” theme throughout. Luo said she wanted to “give people choices and not answers,” and that she did with 30 polished looks. Luo’s spring fashion translated into romantic sophistication and artful play of colors and textures. Using intricate floral embroidery, feathers, pleats, and raw-edged ruffles, she skillfully added volume to the looks without overwhelming the airy silhouettes. 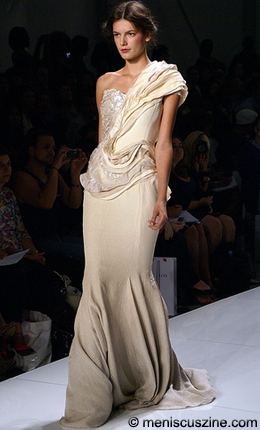 The collection’s palette embraced pale colors along with the basic black and white, while fabrics included luxurious lame, monochromatic and gradated silks, organza and romantic tulle. 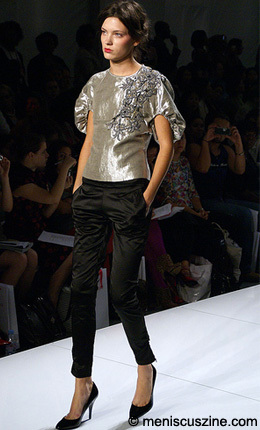 Some of the most memorable pieces were exquisitely embroidered dresses and tops in gunmetal lame. 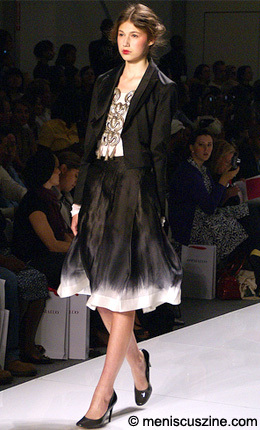 The looks were minimally accessorized with belts, color-matching pumps, and occasionally with oversized necklaces. 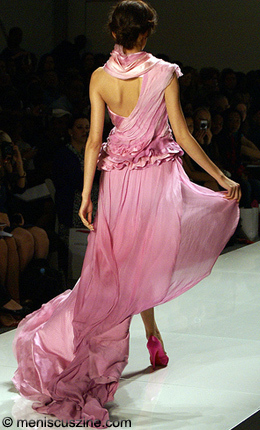 With Luo’s successful Spring 2009 presentation and plans for a flagship boutique in the U.S., I am really looking forward to seeing what OmniaLuo will have in store for the U.S. fashion market this fall.